Observation - Extremely large duck - UK and Ireland. 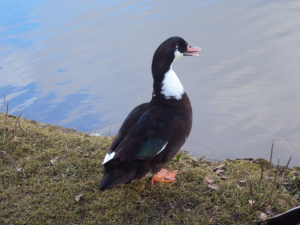 Description: Extremely large duck, significantly larger than the mallards it was mingling with. Extremely large duck, significantly larger than the mallards it was mingling with.